Air KBZ is a privately owned domestic Myanmar airline based in Yangon. Air Kanbawza, otherwise known as AIR KBZ, was established in June 2010. The airline is owned by Kanbawza Bank and began operations with a Yangon-Bagan-Nyaung Oo-Mandalay-Heho-Yangon flight on 2 April 2011. 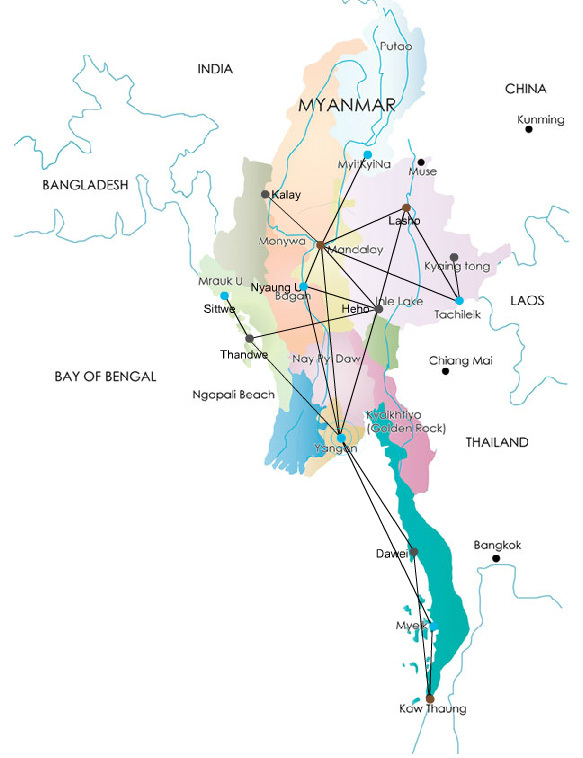 In 2015 Air KBZ began codesharing international flights with its partner Myanmar Airways International, but on 2 December 2016 Air KBZ itself expanded internationally, launching its first scheduled service outside Myanmar with flights connecting Yangon and Chiang Mai in neighboring Thailand.